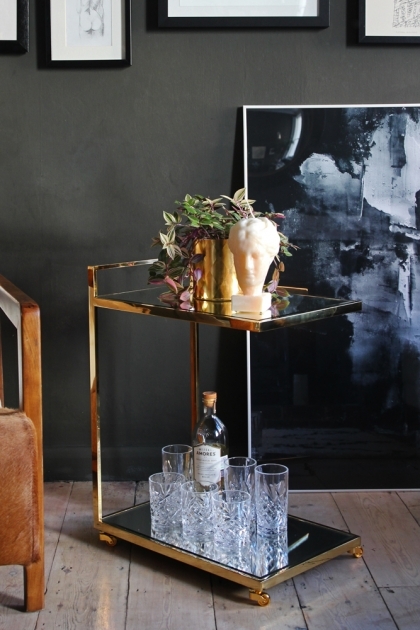 We love a drinks trolley here at RSG and believe that every home should have one. 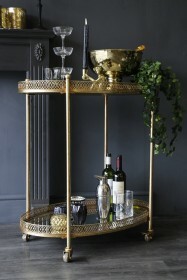 Serve cocktails at home with this amazing drinks trolley. 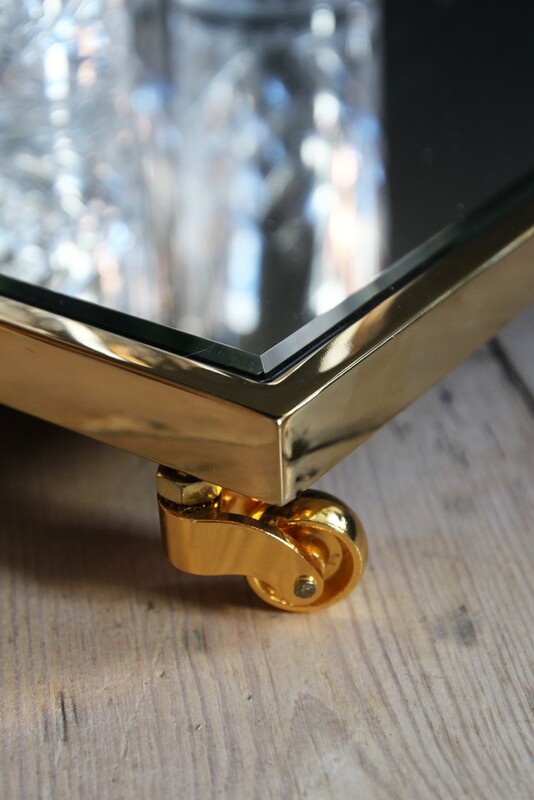 The frame of this Mirrored Glass Drinks Trolley is finished in a very shiny gold colour which combined with the mirror finish on the two-tiers means that you get a dazzling result. 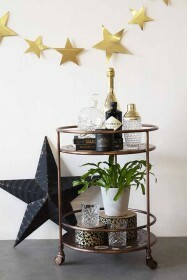 Place glasses, bottles and other interesting items on the two shelves and the drinks trolley will not only reflect their beauty but also refract the light and become a true feature in your home. 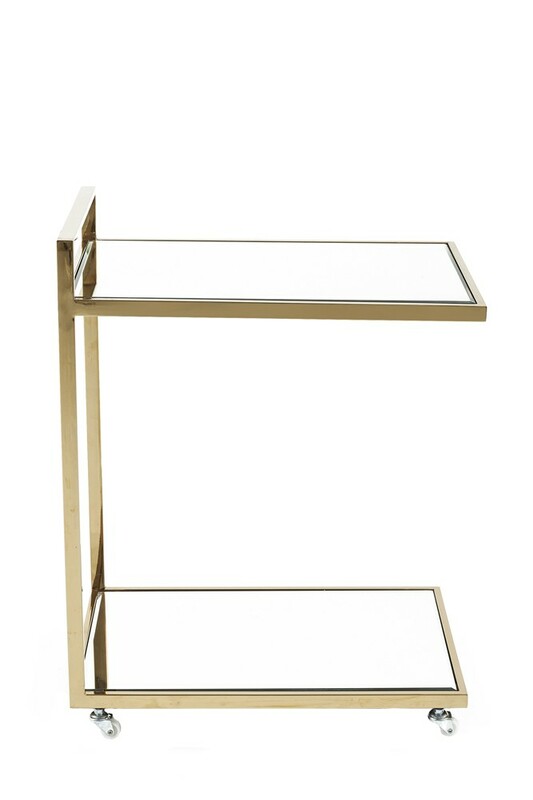 With 4 sturdy wheels and a handle, this Mirrored Glass Drinks Trolley is the perfect accessory for serving drinks and beverages to your guests. RSG Top Tip: Why not use as storage shelf unit when not needed for drinks to house all your lovely trinkets and treasures?